Since 1977, we've specialized in obtaining permanent mini storage loans for purchases or re-financing. We specialize in obtaining permanent mini storage loans for purchases or re-financing. It's easy to apply or call us toll free at 1-800-595-1474 for a free consultation. Our access to an extensive network of commercial lenders allows us to offer multiple alternative loan scenarios. Our 28 years of experience in the commercial loan business will be utilized to present your qualifications in the best light possible to a multitude of lenders. When comparing both rents and overall development costs, these properties most often have rents that are lesser, but have a total development cost that is up to half that of retail, multi-family, office, or warehouse properties. To the lender, this means a significantly less of an investment or financing of loans on self-storage units to be serviced while enjoying comparable rent rolls to other real-estate investments. The real costs of operating managing and maintaining the property is another big factor that appeals to investors and lenders. Mini-storage operating costs can range from $1.50 to $2.00 per net leasable square foot. Other commercial real-estate properties could range from $2.50 to $3.50 per square foot. Apartments and multi family units, office warehouses, and retail shopping properties have to continually keep up the grounds, plumbing, electrical fixtures and a variety of other maintenance items. This usually require the employ of a substantial maintenance staff. Lenders of mini storage loans like the numbers. 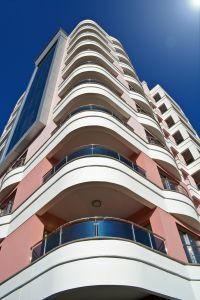 The real story in comparing these properties to other real estate investments is that the investor can get a much higher ROI or Return On Investment. Secondly, the investor's initial investment is a third or half of other investments. The investor does not have to be concerned about additional cash requirements involving tenant improvements or ongoing major maintenance. The statistics for these investments are encouraging. Lenders financing purchase and refinance loans of mini storage properties take note that the number of these properties that went into the FDIC or RTC for sale due to foreclosure was quite less than other real-estate properties being foreclosed. Of the 8 percent in self-storage facility failures, a large number of properties were taken back because they were collateral for other projects. What is the reason for a large difference in success between self mini storage and other real estate commercial investments? What are the main factors that give this investment the extra advantage for surviving tough times? During those times when a certain market is experiencing an economic come back business grows, employment opportunities increase and sales of single-family homes start to rise. Research by lenders of these property's rent rolls during these times should show a higher percentage of mobile customers and people moving into the market for the first time. On the commercial side, increased business actively means an increased volume of commercial tenants. On the other hand, when the economy starts to slow down, the same happens to business, employment and the markets in general. However, the opposite effect still causes the same mobility that most often benefits mini-storage. People begin to move or selling their houses and moving into smaller homes or apartments. Commercial businesses pullback or look to mini-storage for storing inventories. Approving financing applications for loans on mini self storage investments are attractive to commercial lenders. A staggering economy does have a negative impact on this industry. During down turns in the economy, multi-family vacancy rates can increase as much as 25 percent, while office and retail vacancies increase as much as 30 percent. This is lost revenue to commercial office and retail properties. It is not recovered until the market's and the economy recovers .